Here’s a quick menu idea that everyone will love, and it works for just about any occasion. The best part is that you use your outdoor grill to bake it. BBQ Take & Bake Pizza is easy, especially when you have extra loaves on hand in your pantry. Pull one out in a pinch to make a bread pizza that will satisfy the whole family, and your friends too. Cut open your Take & Bake package. Cut your loaf horizontally and place it on a sheet pan or plate for easy transport to your grill. Top each half with your choice of toppings; tomato sauce, bell pepper, salami, olives, and cheese. 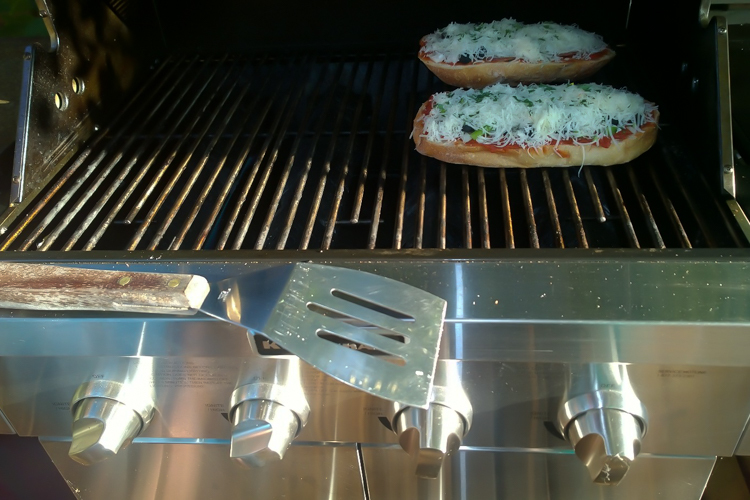 Put your bread pizza on the preheated grill and turn the burners under the bread on low and keep the other burners on high. 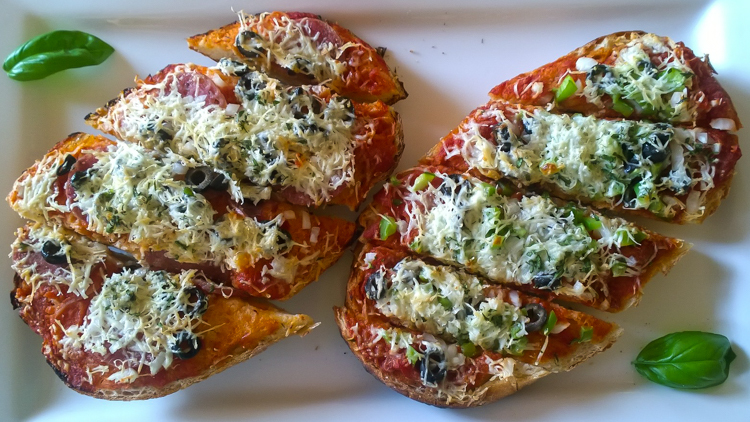 Grill pizzas for 10-15 minutes until cheese is melted. Take pizzas off the grill and cut pizza into slices on a cutting board. Top with fresh torn or cut basil.